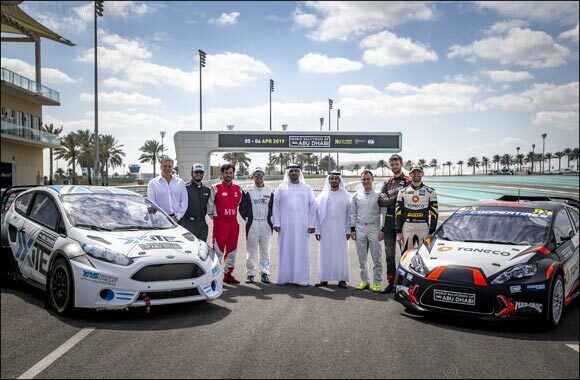 Yas Marina Circuit, Abu Dhabi, UAE 3 March, 2019: Yas Marina Circuit has today revealed the incredible line up of motorsport and off-track entertainment that will take place at the FIA World Rallycross Championship on 4th-6th April. Organisers and partners revealed details of what race goers can expect from the whole weekend when they purchase a ticket. Yas Marina Circuit will be transformed into a three-day festival of on and off-track entertainment, with family-friendly activities, an Adrenaline Zone for thrill seekers, a Food Festival area with a variety of food and beverage options including food trucks, KartZone challenges, driver meet-and-greets and autograph sessions, live music and shows by local musicians and entertainers, plus the Friday after-race concert – exclusively for ticket holders only. Fans can also take part in all-access public Pit Lane Walk and specially created Rallycross experiences. With some of the best Rallycross drivers in the world competing against each other, fans can expect to be blown away by a thrilling demonstration of motorsport action on-track featuring powerful, highly modified and super sporty versions of regular production cars. The Circuit has created a purpose-built, all-new track especially for the race and the 1.2-kilometre layout is composed of 63 per cent asphalt and 37 per cent gravel, ensuring plenty of thrills for spectators. Paul Bellamy, Senior Vice President of IMG Motorsports, the FIA World Rallycross Championship promoter, said: “We are delighted to be bring the FIA World Rallycross Championship to motorsport fans in the UAE for the very first time. I can think of no better venue to showcase our sport than the stunning Yas Marina Circuit. “For those who have never experienced rallycross before, you are in for a treat. Rallycross is all about short, sharp, door-to-door racing and non-stop action between hugely talented drivers. “Our new track and weekend-long itinerary of some of the wildest racing the Middle East has ever seen promises to deliver something completely different to anything we have ever seen at the Circuit. Mohammed Ben Sulayem, President of the Automobile and Touring Club for the UAE, vice president of the FIA, added: “The UAE has a long history of motorsport, and this new international event complements the existing local and regional season calendar. As part of the weekend-long festival for all members of the family, ticket holders can make the most out of their time on Yas Island by opting for the ever-popular X-Parks Pass when purchasing their tickets for the FIA WORLD RALLYCROSS CHAMPIONSHIP. The exclusive tickets provide access to Yas Marina Circuit as well as unlimited access to Ferrari World Abu Dhabi, Yas Water World, or Warner Bros World Abu Dhabi from Thursday to Sunday. Eng. Mohamed Abdalla Al Zaabi, CEO of Miral, added: “The FIA World Rallycross Championship marks another great milestone for all of us, as it aligns with our vision to position Yas Island among the top global destinations for entertainment and leisure, attracting millions of visits year on year.